SpaceClaim, edited by ANSYS, enables anyone to create, edit, or repair quickly geometry coming from a large panel of CAD environment thanks to a powerfull translator. It's a perfect tool for anyone who needs to work from a DMU or build some DMU easily without having to be a designer. 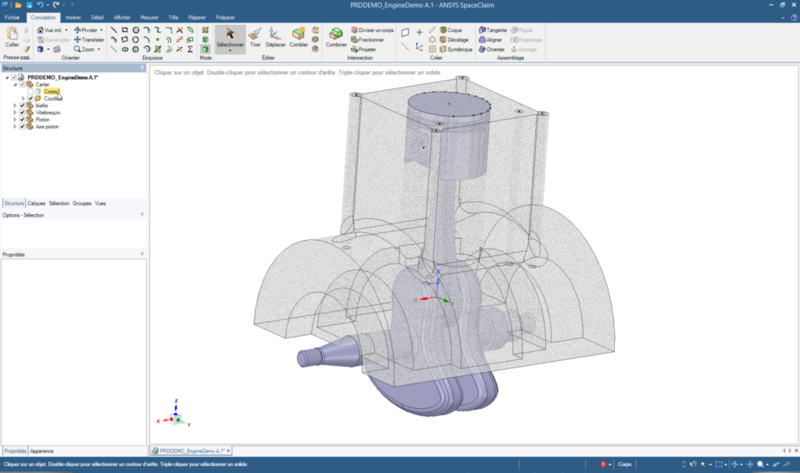 MECAmaster is today available thanks to the native integration to CATIA product users (V5 or 3DExperience). SpaceClaim will offer a good alternative to anyone working in an other environment to get access to MECAmaster powerfull functionnalities. SpaceClaim integration is today under developement and will be available in 2019. Stay informed ! provide a full package tool to anyone in a design office looking for a simple, fast, easy software for pre-design analysis involving Tolerances (or Loads) Simulations. Thanks to powerfull functions, easy manipulation, and an affordable price, SpaceClaim has been identified as the perfect tool to support MECAmaster functionnalities and extend its market coverage ! Which MECAmaster Product is available in SpaceClaim Environment ? Today, no product is commercially available yet. MECAmaster Assembly and Tolsis will get a Spaceclaim integration. Release date will be announced by the end of 2018 for an availability in 2019 ! Stay Informed !!! How will be delivered MECAmaster for SpaceClaiim ? We'd love to help! Come to us and share it / them from the contact page.